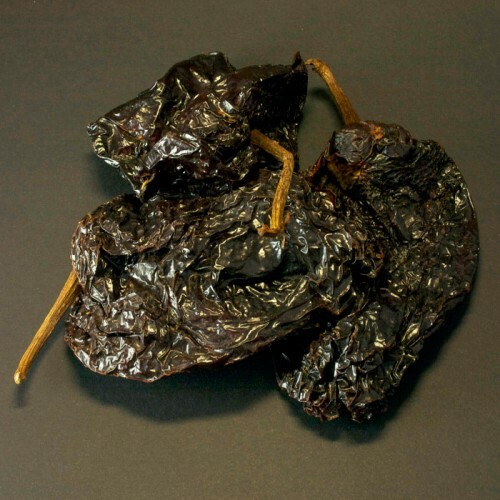 Info: The Ancho is the most popular chilli in Mexico. It has a mild fruity flavour with undertones of plum, raisin, and tobacco and a slight earthy bitterness. This is the staple chilli for moles, tamales, enchiladas and salsas. For extra flavour, try toasting it slightly on a hot ring before soaking in boiling water for no longer than 20 minutes then cut in strips, dice or puree. 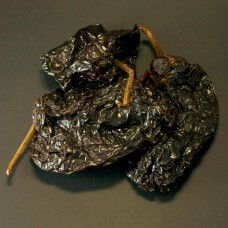 Ancho is also part of the Holy Trinity of Mexican chillies, along with Mulato and Pasilla, used for Mexican moles.